Experienced litigation lawyer at Coleman Jackson, P.C. stands ready, skilled and able to vigorously represent North Texans and other litigants who find themselves being sued or needing to sue a governmental entity, business or other individual with respect to a business contract gone bad, or governmental agency in a public contract dispute. Our litigation law firm also vigorous represent taxpayers in federal tax disputes with the Internal Revenue Service, and in state tax disputes with the Texas Comptroller of Public Accounts or Texas Attorney General's Office. We realize that it is far better if people could enter into contracts, perform and be paid the agreed price without contract conflicts and business contract disputes arising; but, in the commercial contracting world and government contracting world disputes arise in the course of contract negotiations, contract performance, contract payments and contract terminations. At the Dallas Business Litigation Law Firm of Coleman Jackson, P.C., we come along side businesses and individuals to counsel and advise to minimize or attempt to avoid the emotional, disruptive and economic stress and strain involved in litigation. The best policy is to attempt to avoid litigation because it is like war and can destroy business relationships. But when it is impossible to resolve a business contract or government contract dispute without litigation, our contract litigator at Coleman Jackson, P.C. is ready to vigorously fight to prosecute or defend your contract claims in federal district courts, the court of federal claims or the state trial courts in Texas. When you call upon Coleman Jackson, P.C. involving a business contract matter we will confidentially gather the facts of the business contract claim, assess the nature and circumstances surrounding the business contract dispute, research the law of the case, and advise regarding the cost benefit of prosecuting or defending the business contract dispute in federal court or state court. Breach of Contract Disputes - The person or business simply did not do what they agreed to do, or interfered with the other party's performance of its contractual obligations. Deceptive Business Practices Disputes - The person or business has engaged in false or misleading representation of material facts. Business Associates Disputes - Fellow partners or shareholders are simply not holding up their part of the business relationship whether it be in a partnership, limited liability company, corporation or whether the business litigation involves any other form of business entity. Government Contract Dispute Analysis, Evaluation and Litigation - The bid process is defective and a bid protest develops, or the contracting officer's decision needs to be appealed or otherwise challenged, or the government terminates the contract, or make substantial changes where an equitable adjustment of price dispute arises. Estate And Trust Law Disputes - Trustees owe beneficiaries a fiduciary duty. Sometimes trustees when administering an estate, or brokers in administering a wealth account or other agent with fiduciary responsibilities failed to act up to that high standard. Trade Secrets and Unfair Competition Disputes - Vigorous Competition is great! But you or your competitor could go too far if unlawful competitor devices, ways and means are employed to gain unfair competitor advantage. Federal and State Tax Litigation - State Tax Disputes procedure and timing is critical! The Texas Administrative Code sets out mandatory rules governing taxpayers' disputes over the amount of taxes assessed by the Comptroller of Public Accounts. When the taxpayer disputes the tax assessment, such as a sales and use tax assessment, within 20 or 30 days of receipt of the notice of the tax assessment (depending upon whether it is a deficiency determination or jeopardy determination), the taxpayer must pursuant to statute, follow the proper procedures in the proper way to request an administrative hearing before an Administrative Law Judge in Austin, Texas. This administrative process is absolutely required in order for the taxpayer to pursue their tax claim in court. If the 30 day deficiency determination statute expires, or 20 day jeopardy determination statute expires, and the taxpayer fails to request an administrative hearing, the courts of Texas cannot help the taxpayer. Taxpayers must also pay strict attention to what is commonly known as the 60 day letter from the Comptroller's Office because it can drastically restrict the evidence that the taxpayer can present in future administrative hearings and judicial hearings. Moreover, tax disputes in Texas must be brought, if at all, in the State District Court in Austin, Texas. IRS tax disputes that cannot be resolved in the agency appeals process can be resolved in federal court. The choice of forum in federal court litigation is very important because unlike tax litigation in U.S. District Court and the U.S. Court of Federal Claims, tax litigation in U.S. Tax Court is before Tax Court Judges with lots of practical experience in taxation matters, and also, Tax Court litigation does not require payment of the disputed taxes before litigating an outcome in U.S. Tax Court. As with tax litigation, business contract disputes must be filed within strict filing deadlines. Taxpayers' failure to timely pursue agency and administrative procedures can bar or severely limit their ability to challenge federal and state tax assessment. 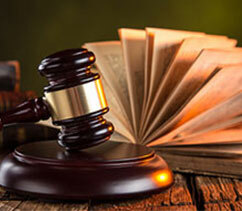 Failure to file tax cases on time can forever bar the claims. Contact the litigation attorney at Coleman Jackson, P.C. at (214) 599-0431 (English) or (214) 599-0432 (Spanish), or send us an email at cj@cjacksonlaw.com or complete the Contact Us box.